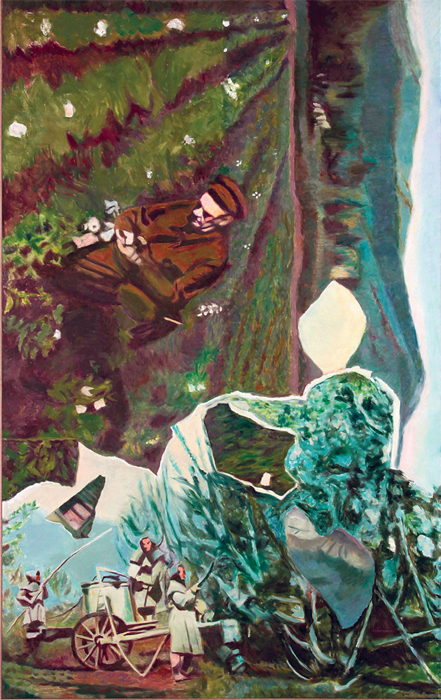 Ilya Kabakov, Vertical Painting #12, 2012, oil on canvas, 112 x 70 7/8". Born in 1933 to a scarcely tolerated minority, the Russian-Jewish artist Ilya Kabakov was nevertheless accepted as a student at the prestigious Leningrad Institute of Art. Ironically, he has become one of its greatest attendees, if one still regarded askance by official taste. 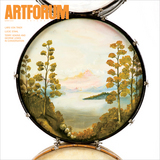 Order the PRINT EDITION of the March 2014 issue for $17 or the ONLINE EDITION for $5.99.